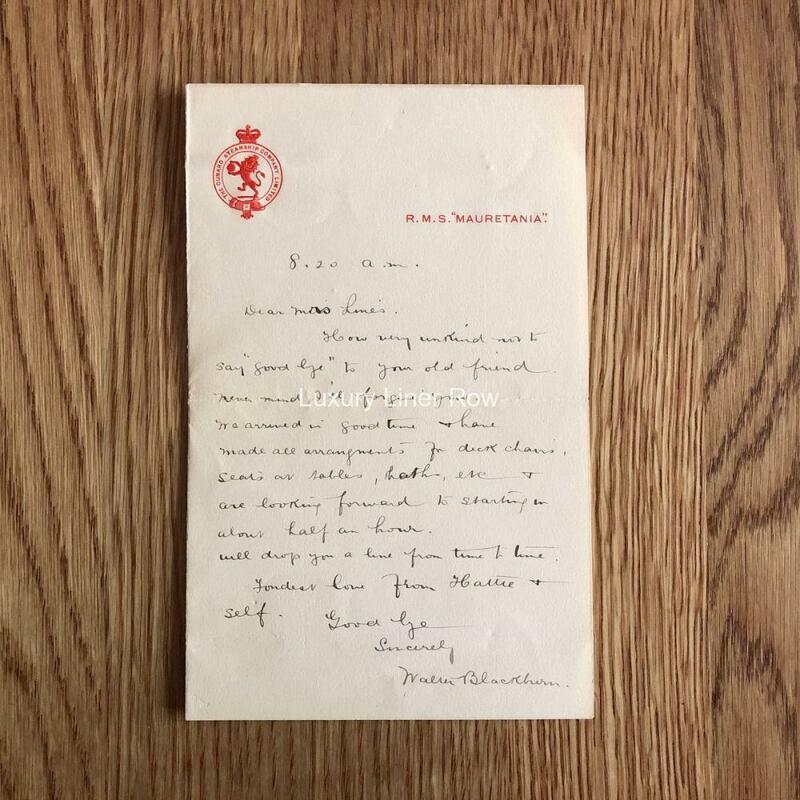 A lovely piece of stationery from the first Mauretania. A single page letter, it was written on board shortly before the ship sailed and talks about what they did on board prior to sailing and that hey would be sailing in about half an hour. 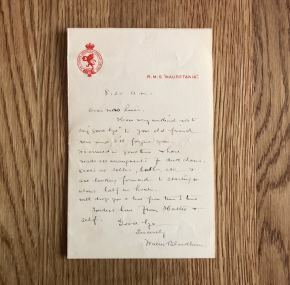 Unfortunately, the letter is not dated, but it is definitely dates to before World War I because this style of stationery was not used post war.